Finsihed two more booties. 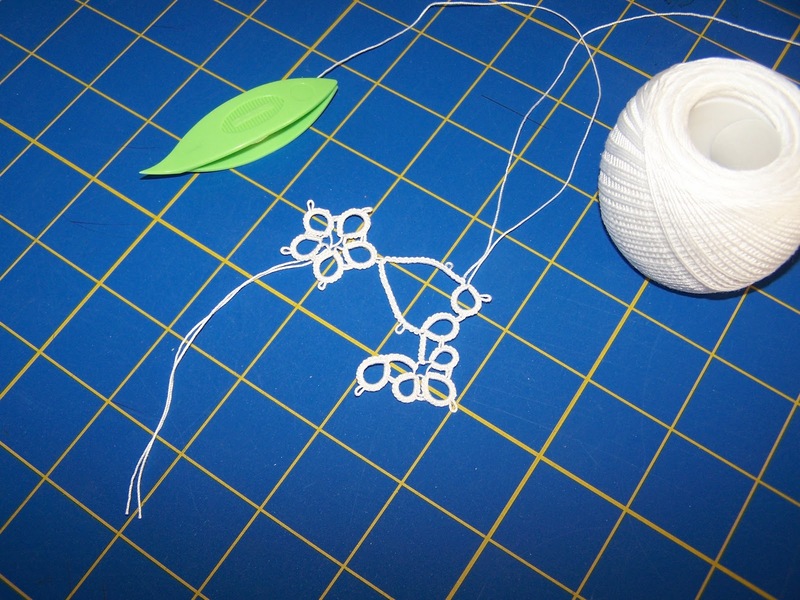 Now that I have made over a dozen of them I am looking for ways to tweek the pattern. I have done some front side/back side tatting as I realized at one spot it was actually comming out with the back showing. Had to fix that right away. 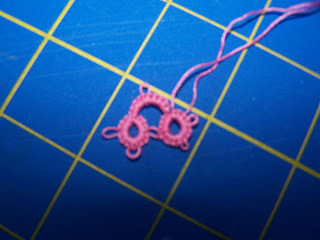 I really need to learn how to do split chains and maybe I could do them without cutting and tying the thread after each round. This first pair was made with Lizbeth Thread Number 134 Mountain Breeze in sise 20. I think they look very boyish. Sometimes it is difficult to find colors that look like boys. 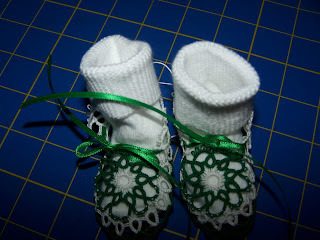 This next pair is made from Size 20 Green Cebella It was two dark for solid green so I added in the white. I think it looks a lot like Christmas, or maybe it is just the season is getting close. The green ribbon seems to sparkle in th is picture. 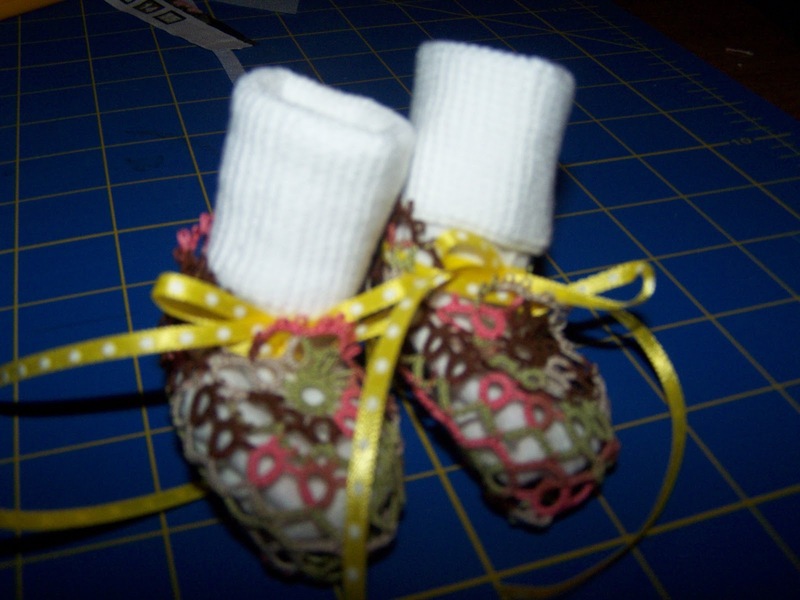 And now for the baby bonnet. It is out of Cebella White Size 20. I have just gotten started on it but it feels like it will be going fairly quickly. I will post additional pictures of the bonnet when I complete the next round. The pattern is one I purchased, the designer is JoAnn Stearns. I think I purchased the pattern at Handy Hands. I am also struggling to learn now to needle tat. I learned how to shuttle tat and I enjoy that very much but have been told some patterns are better suited to the needle so now I am attempting that method. It is very challenging to me and I have not yet put more than two rings together. I had a second chain on this but it didn't curve right so I had to rip it out. This will be an adventure.